capable of high turn down ratios that allow for maximum performance and lower NOx emissions. 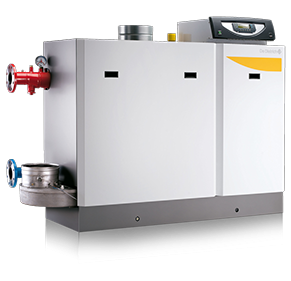 The light weight heat exchanger enables installation in weight sensitive locations, over 30% lighter than other condensing boilers. A ten year non pro-rated warranty covers the cast aluminum heat exchanger from anything that you throw at it. The user and installer friendly Honeywell boiler control system incorporates a P.I.D. function that eliminates overshooting and maintains steady system temperatures. With four temperature sensors constantly monitoring the inlet and outlet temperatures, maximum protection of the heat exchanger is provided. 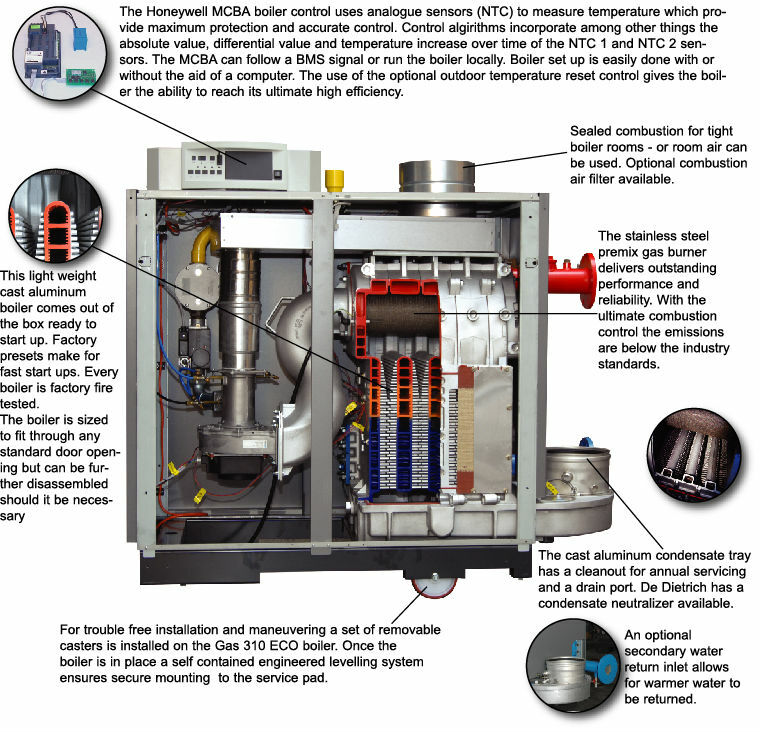 The boiler maximum capacity can be adjusted to within 25% of the total building load requirements. Meaning the high fire can be set to fire at the design firing rate. With five models ranging from 1,000 to 2,000 MBH (output) you can pinpoint the model that fits your application perfectly.